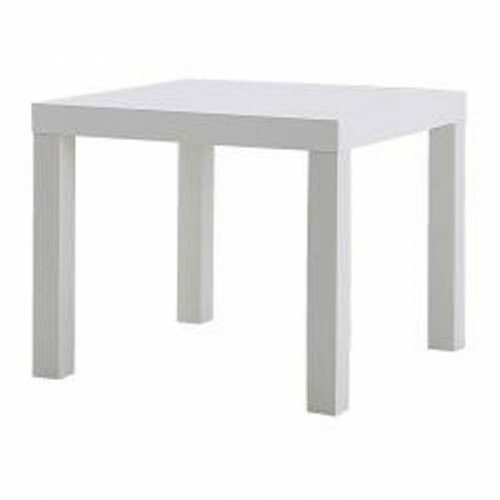 Do you have a usual wooden or MDF dining table? Do you want it to become original but don’t know how? If you are not much of a crafter, this option is for you. 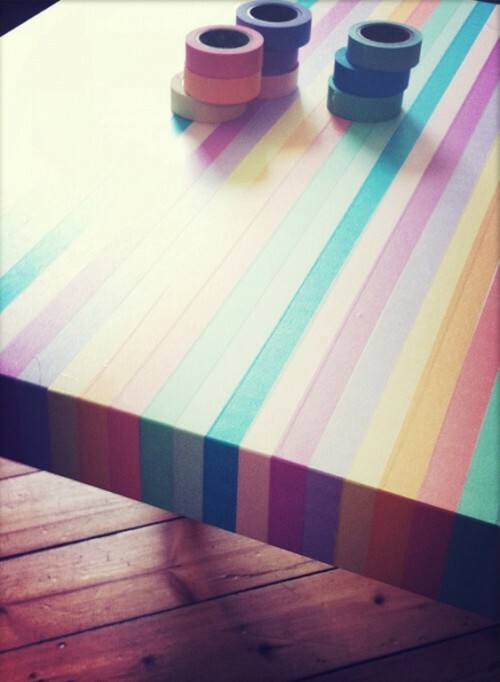 You’ll need just some adhesive tape of different colors and a table, of course. Make your world brighter with the help of these tapes. 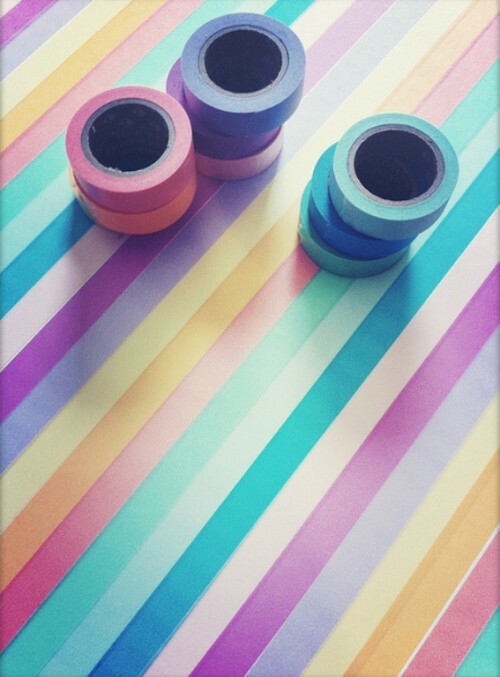 Glue the tapes as you like – but a rainbow pattern would look cooler. Such a table is a creative solution for any funky kitchen of children’s room. Any color, any dimensions you prefer. Simplicity is always genial ,isn’t it?